Like most of her life's endeavors, Lauren's improv journey began with a moderate amount of discomfort and anxiety. It's only gotten worse. Still, taking that first improv class during grad school was one of the best decisions she’s ever made. 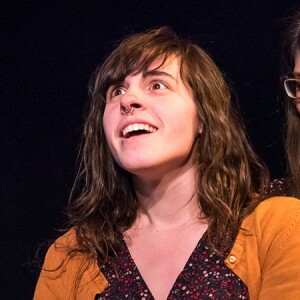 Upon moving to DC, Lauren immediately began taking classes with Washington Improv Theater and performing soon after. In addition to performing at Harold Night, Lauren also takes the stage with local indie team Couch Money. When not practicing, performing, or watching improv, Lauren can be spotted hogging dance floors, scarfing pizza, and working as a children’s librarian.